How can we theorise cultural change? 1. Put your new media bestsellers and your Google Scholar away and head for the reference section of a large university library. 3. Do likewise with other key processes of cultural change during that same period: the uneven spread of capitalism and Western-style democracy at the expense of communism and authoritarianism, the ‘reflowering’ of Islam, Hinduism, Buddhism and some branches of Christianity in many parts of the world, the consolidation of secularism in Europe, the patchy spread of minority rights activism and legislation, the diffusion of radio, TV, the Internet and mobile phones worldwide, etc. 4. Take two or three of these processes and study their major life stages, paths of diffusion around the globe, localised forms in different culture areas, and entanglements with other processes (e.g. neo-Hinduism, urbanisation and commodification in India). 5. Take two or three neighbouring territories (states) or urban centres and compare key processes of cultural change and continuity related to such developments as reformed legal systems, electoral shifts, regime changes, economic booms and busts, ethnic or social conflict, immigration and outmigration, natural disasters, new leisure practices, transborder flows of media products, etc. 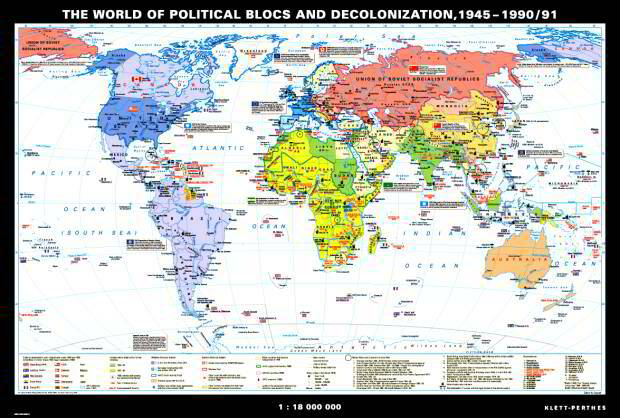 * Attempting to theorise about human affairs in a historical or geographical vaccuum is generally not a good idea. In other words, the idea is to superimpose several sets of world-historical maps in order to add layers of complexity to the political-cultural template: beneath the quite dynamic political maps I would place the much more slowly changing physical maps, and on top of the political maps I would put economic, ethno-linguistic, religious and one or two other maps. Sounds like this approach would draw significantly, at least historically, on Max Weber. Hallin, D. C. (2005) Field theory, differentiation theory, and comparative media research. In Benson and Neveu (eds) Bourdieu and the Journalistic Field. Cambridge: Polity. Differentiation theory – a fundamental approach to the history of media production – has a number of limitations, esp. ‘the assumption of a universal trend toward greater differentation’. Bourdieu’s field theory is more helpful here, for it does not assume ‘whether media move over time toward differentiation or de-differentiation’ (2005: 240-241). (See tree-like model of cultural evolution in Mace et al 2005).